A seat and fountain commemorate James and John White who were the first settlers of the Burrangong District. 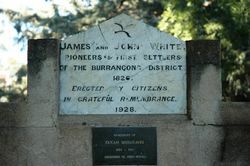 James White was the first European settler in the district and established Burrangong Station in 1826 with a squatting claim of 100 square miles. 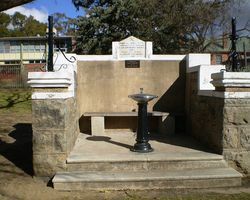 Erected by citizens in grateful remembrance.